While perusing inspo for a project, I came across this small but mighty bathroom on Pinterest (designed by AB Chao). We are going a different (serene) direction with our project, but I was really inspired to recreate this! Especially because it might actually be an easier one to execute. 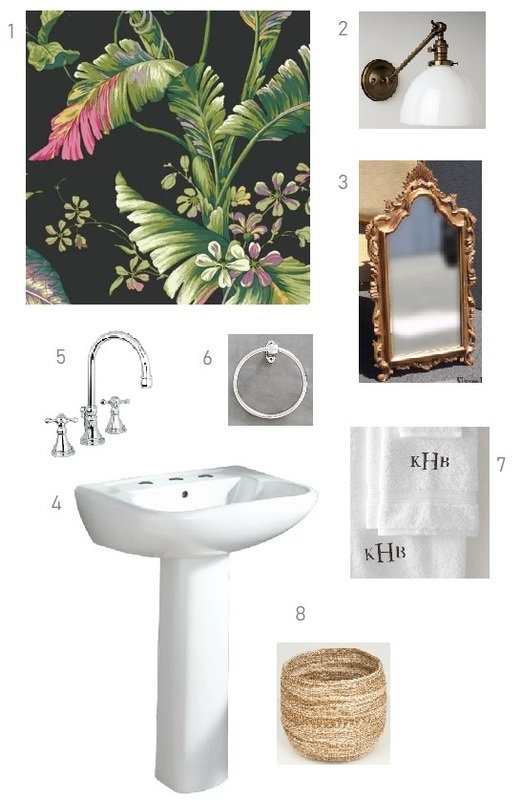 It would be great for a small bathroom because it creates lotsa drama with relatively fewer elements! A standout hero wallpaper like this one can do the the trick when you want to make a bold statement but without busting your budget. And here’s how to get a similar look - finds from Wayfair, Ebay, Etsy and more..